The popular anime series, One Piece, will become a Virtual Reality game for PS VR - silliness included. All the PlayStation VR news, announcements and reveals from this weekend’s Californian event. 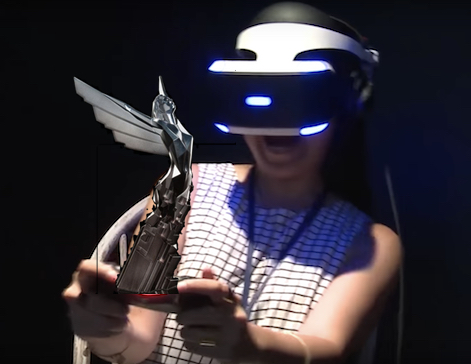 Popular horror series wins best game experience in VR/AR, ahead of a strong shortlist of contenders. Rick and Morty co-creator, Justin Roiland, lends his voice to the upcoming game, set to release this December. RPG epic gets hardware bundle for 17th November release, but only in America and Canada. Fully immersive VR action-adventure courtesy of former DICE, Rovio and EA leads. Reveals, updates and expansions for PS VR on show at Sony event, from indie devs to AAA blockbusters. The London Heist Gets A Follow-Up. Kinda. Sony London Studios shows first footage of the spiritual successor to hugely popular VR Worlds experience with Blood & Truth. Motion controllers get minor updates to battery and connection terminal. PlayStation releases short trailer of forthcoming flagship PS4 racing game, showing VR mode and comments from GT Academy winners and Nissan Pro Drivers.